An almost 2,000-year-old tomb of a cremated Ancient Thracian princess has been discovered during emergency rescue excavations of a Thracian tumulus (burial mound) in the town of Tatarevo, Parvomay Municipality, in Southern Bulgaria, which has been repeatedly targeted by treasure hunters. The discovery of the Thracian princess’s grave is one of the not so many cases in which the Bulgarian archaeologists have managed to beat the ruthless treasure hunters looting the country’s thousands of archaeological sites, after Plovdiv Municipality has provided emergency funding for the excavations, and after the Thracian tumuli in Tatarevo were targeted by treasure hunters as recently as June 2015. The newly found tomb of the Thracian princess is dated to the end of the 1st century (ca. 90) AD. 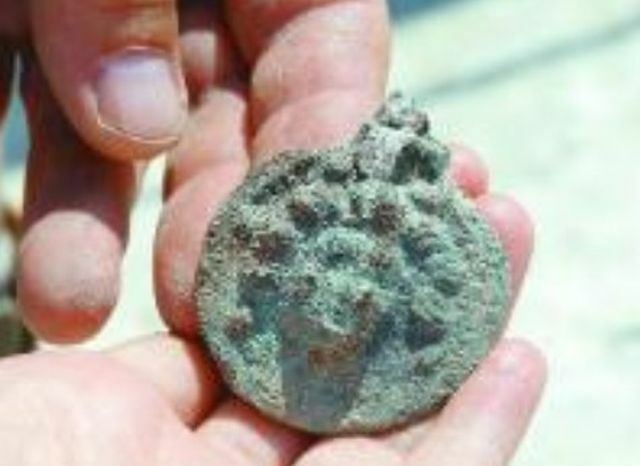 It has been discovered by the archaeological team carrying out the emergency excavations which is led by the Director of the Plovdiv Museum of Archaeology, Kostadin Kisyov. The excavations started 20 days ago, and the archaeologists have unearthed two graves in total so far, reports the Bulgarian daily Monitor. The first grave was discovered at a depth of 3 meters; in it, the human remains were placed in a coffin. The second grave, that of the Thracian princess, was found at a depth of about 6 meters. Judging by the grave inventory the Bulgarian archaeologists believe that it contains the remains of a woman from the Thracian tribe Odrysae (Odrysians) who was burned at a stake, i.e. cremated, somewhere outside of the mound, and was placed in a brick masonry tomb with her favorite belongings. The Thracian woman’s remains were placed in the grave together with part of the coal that was used to cremate her body, and the afterlife gifts, including a well preserved wooden comb, were put on top of them before the grave was sealed. “So far we have discovered a very large bronze vessel with four legs, a bronze basin, two glass vessels, a bronze application with the image of the Gorgon Medusa, and two small clay vessels. We are currently unearthing another vessel in one of the corners of the tomb, which is most probably silver,” lead archaeologist Kisyov is quoted as saying. The grave of the Thracian princess, however, was dated thanks to the discovery of another vessel – a large clay basin with seals indicating that it was made ca. 90 AD, i.e. after the Odrysian Kingdom, the most powerful Thracian state, and all of Ancient Thracian were conquered by the Roman Empire in 46 AD, with the Thracian aristocracy generally becoming absorbed as Roman provincial aristocracy. The grave, or, rather, the tomb itself is made of brick masonry, and is covered with massive tiles, which are 70 cm long, 50 cm wide, and 6 cm thick. “This is a Thracian funeral of a woman from the Early Roman period. She probably was part of an aristocratic circle because we can see that she was buried somewhere in the middle of the mound. The mound was raised, after that the woman was buried, and then more soil was piled on top of her tomb,” the archaeologists explain. The size of the Ancient Thracian tumulus in question near Tatarevo is considerable: it is 12 meters tall, and has a diameter of 67 meters. “These are about 29,000 cubic meters of soil that need to be dug up, and searched. We started to explore the tumulus from its top down to its base. Technically, we are now at the depth which was reached by the treasure hunters,” Kisyov explains referring to the 6-meter deep tunnel dug up over the spring by the looters who, however, failed to come across any of the burials hidden inside the Thracian mound. The tumulus in question, which is also known as the Great Tumulus near Tatarevo, might have been something like a family tomb of a Thracian aristocratic family. The Bulgarian archaeologists believe that they may be able to find the mound’s “central funeral” deeper inside it. It might be the funeral of the husband of the cremated Thracian princess, or it might be the funeral of another Thracian aristocrat. The emergency archaeological excavations of the Great Mound near Tatarevo will probably continue for another mouth. 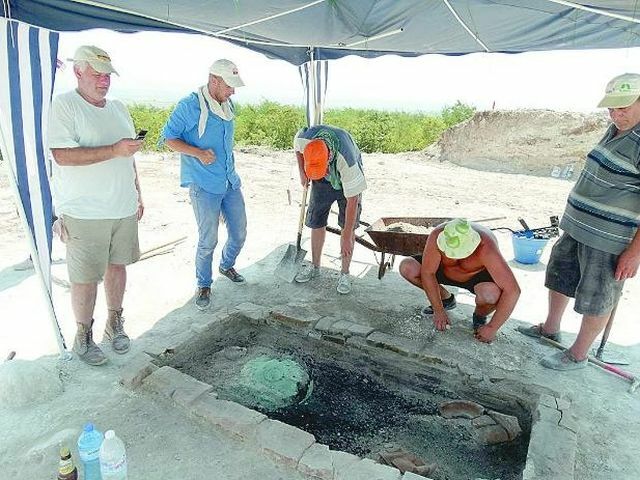 The archaeologists who are carrying them out have called for the establishment of a special fund by the Bulgarian Ministry of Culture so that the government can allocate funding for emergency rescue excavations. “If we had been unable to start these excavations now, and had delayed them for 2 years, this tumulus would have been dug up and looted. That’s why there should be such an emergency fund at the Ministry of Culture,” says the Director of the Plovdiv Museum of Archaeology Kostandin Kisyov.